We’d love your help. Let us know what’s wrong with this preview of The Tassajara Bread Book by Edward Espe Brown. 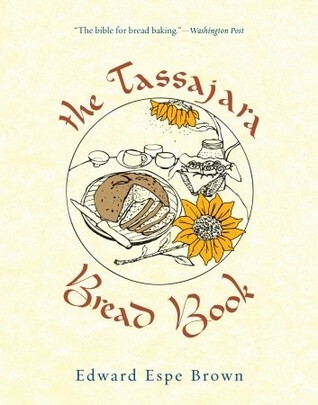 To ask other readers questions about The Tassajara Bread Book, please sign up. Recommended to Inder by: My mom. First, if you've never baked bread before, read the detailed instructions starting on page 15 and really study them. There are invaluable drawings showing you exactly what things should look like. Refer back to these as often as needed. Pay special atten I'm sorry I ever doubted you. Read: More rising = lighter, nicer bread. I always make Tassajara Yeasted Bread, the basic bread, p. 36. I'm sure all of the other recipes in this book are good too, but I wouldn't know, because I've never made them. Why mess with what you know? This wheat bread is perfect for day to day eating - sweet but not too sweet. You don't need anything else. The "lukewarm" water should be warm but not scalding - check it like you check the formula in a baby's bottle. Or invest in a thermometer (good anyway) - it should be about 100 degrees. Be careful - use fresh yeast, and refrigerate yeast until you use it. Old yeast causes catastrophic bread failure. Best play it safe. You can use any kind of sweetener, but be careful, because the sweetness of various sweeteners varies, and these variations can cause problems with rising. I always use honey or maple syrup, sometimes cut with a little molasses. I like liquid sweeteners - they mix nicely with the lukewarm water, and smell heavenly when baking. Forget the dry milk. I've never used that. Use all 100% whole wheat stone ground flour, if you dare. Make a sponge from all of these ingredients, and let it rise in a warm oven or window (80-85 degrees). Note - if the dough is in a cooler area, rising takes longer. It's probably not worth trying it, given the potential for error. So I use a combination of turning the oven on and off, and the pilot light, to rise my bread. I have another thermometer in the oven, and that helps too. Alternately, if it's 90 degrees out, the countertop should be fine. I once tried rising bread outside, but ants found the sponge phase absolutely irresistible. I cried. I learned that lesson. Here's where I start to vary slightly from this recipe. I know it says 45 mins, but I always rise the sponge for an hour. Fold in salt and oil, and additional flour. Knead. Not a little bit, but a lot. Longer than you'd think. It's painful, but 15 to 20 minutes is ideal. The more you knead, the fluffier the bread. This is really the only effort that bread takes - the rest of it is really low-maintenance, so it's not so bad. After kneading, the dough should be smooth, shiny, and, well, spank-able. Shape into loaves. Don't mess with that spank-able surface too much, though. Just push it down flat, cut it in two with a knife, and then form the loaves without messing with the smooth surface of the dough. Believe it or not, there is chemistry behind this advice. Put the loaves into nice, greased pans. Don't forget the greasing part - I've tried that and it also resulted in tears, although we ate the unstuck bread anyway. Rise 30 minutes or until loaves are looking really nice and poofy. Do whatever you do for a wash on top (nothing is fine in my book, but milk or eggs are nice). I like to slash the top, to make it look more authentic. I guess this allows the bread to expand over the sides of the loaf pans, which isn't necessary but looks cool. Bake at 350 degrees for an hour. Take the bread out of the pans immediately and cool on racks or on a bread board. I remember this as 60, 60, 50, 40, 30, 60. Easy, right? Seriously, it mostly decreases by 10 minutes increments, so it's actually pretty easy to remember. So, just a bit more kneading and kind of a lot more rising. During which time, you can be organizing practically the entire house. 1) Hippy housewives and their kids (this is how I grew up). 2) Days spent working in the house and garden. 3) Writing papers in college or law school. 4) Studying for finals or the California Bar. 5) Anytime you're stuck in the house and need nice measured breaks from your work and a delicious reward at the end. Hard to imagine a better bread book, unless it was also vegan. I'm looking forward to trying this out since I believe about half the recipes can be made Vegantastic. I watched a movie years ago that lead me to this book, yet I've never tried my hand at punching dough. I know folks are a little put out by the lack of a 'recipe' style layout of this book. It like books of it's time period, was filled with wisdom, ramblings, ideas, and more importantly a change on how we look at what we do. I've owned 5 or more copies of this book, used them to the point that they were so sticky from bread goops, handling while cooking, that they end up being recycled. But that's the point! If you use your cook books chances are, they get filled with spills and gobs Sponge works. I've owned 5 or more copies of this book, used them to the point that they were so sticky from bread goops, handling while cooking, that they end up being recycled. But that's the point! If you use your cook books chances are, they get filled with spills and gobs of stuff stuck, as your following the guidance of the author. So before you decide to find another bread book, (I've tried other methods but this book works the best for me), try this book. If you are concerned about putting out $$ before tying even just the method of sponge, go to your local library and borrow the book. If what is holding you back is getting it filthy, then I would suggest at least xeroxing the sponge method recipe then when you have beautiful loaves of bread cooling, you can read other recipes Ed offers here, as well as his wisdom and pace of life during his time at the monastery. This book primarily focuses on whole grains but it does not deny the existence of unbleached white flower. This book touts the benefits of the "sponge method" in which the yeast gets started more easily in the absence of the salt which is not added until the very end of the mixing process. The mixing process is accomplished by folding thus maximizing the incorporation of oxygen. The basic Tassajara recipe for whole wheat bread makes four loaves so you know they like bread! But whether you use thi This book primarily focuses on whole grains but it does not deny the existence of unbleached white flower. This book touts the benefits of the "sponge method" in which the yeast gets started more easily in the absence of the salt which is not added until the very end of the mixing process. The mixing process is accomplished by folding thus maximizing the incorporation of oxygen. The basic Tassajara recipe for whole wheat bread makes four loaves so you know they like bread! But whether you use this recipe, another recipe or your bread machine, what matters is that you bake bread and have at least one slice with butter right when it comes out of the oven. Being an inexperienced baker, I wanted a cookbook that would give me some basic knowledge on the art of baking bread. The moment I saw this book, I realized this is something that's been around for several years. The ingredient glossary it provides at the beginning of the book is excellent in helping you understand what some of the ingredients in bread are and what they're there for. For example, "Milk makes bread smoother, softer and more cakelike and modifies, masks the 'coarse' grain taste." Th Being an inexperienced baker, I wanted a cookbook that would give me some basic knowledge on the art of baking bread. The moment I saw this book, I realized this is something that's been around for several years. The recipes are classic and very simple, ranging from the basic Tassajara Yeasted Bread, Potato Bread, and even other cookies and cakes such as Cinnamon Rolls, Pecan Nut Rolls, Lemon Twist Bread, and Kolaches. Some recipes even have simple line drawings to illustrate processes. I've made a few of the recipes in this book such as the Pecan Nut Roll (delicious) and the Honey Bars and I have yet to be disappointed. bread! can't wait to make some sourdough as soon as I get out from in front of this computer, go get some wheat flour and clean the kitchen! Tassajara is the best intro to bread baking i've ever seen, with detailed instructions on every step from water to sponge to how to knead, rising consistency and baking time. also filled with zen poetry/meditations about food. A beautiful book with a logical layout. This would be a great gift for a beginning baker. It might not be fair to be giving this book such a low rating. But really, the layout is appalling. I learned about "The Tassajara Bread Book" after reading the rather lame novel, "Bread Alone" by Judith Ryan Hendricks. (But the novel wasn't a complete waste of time. Interspersed through the dumb story, there are some excellent bread recipes.) In the novel, there was a glowing description of banana cinnamon swirl bread but no recipe; just a note to add more bananas to "The Tassajara Bread Book" r It might not be fair to be giving this book such a low rating. But really, the layout is appalling. 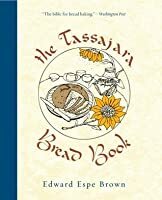 I learned about "The Tassajara Bread Book" after reading the rather lame novel, "Bread Alone" by Judith Ryan Hendricks. (But the novel wasn't a complete waste of time. Interspersed through the dumb story, there are some excellent bread recipes.) In the novel, there was a glowing description of banana cinnamon swirl bread but no recipe; just a note to add more bananas to "The Tassajara Bread Book" recipe for Banana Sandwich bread and make it into a cinnamon swirl bread. The description of the banana bread was so wonderful that I really wanted to make it. So ages ago, I got the Tassajara book out of the library. It's so horribly laid out (for me anyway) that I didn't want to buy it - even though some people swear that it's a fabulous cookbook. After a lot of page flipping back and forth from basic formula to additions to... um, NOW which page am I supposed to turn to?? ?, I finally scrawled down the recipe for the bread. Right up there with the original as a book I hold near and dear to my heart. I made the basic batter bread religiously for quite a while when I was a big ole hippie in new mexico, and I would recommend any of these bread recipes/instructions to the novice bread baker as well as someone who just wants to broaden their repetoire. Like the companion volume "Tassaja Cooking", this is a cooking book which teaches the underlying principles that guide the bread maker. There are recipes, of course, but these are intended as starting points for exploration. This book has a permanent place on my kitchen bookshelf. Pancakes and waffles to die for. i'm reading the omnivore's dilemma and remembered this book as being particularly interesting in that apart from the great bread recipes it is also a philosophy of how to view food. I'd heard of this book for years, and it was only when I became desperate to find a way into the Panettone recipe I'd tried this past Christmas that I thought to consult the master. In The Complete Tassajara Cookbook I found an old handed-down recipe called Grandmother Mary's Coffeecake that is so similar to other books' rcipes for Panettone that I brought it to my house immediately to see what else was inside. This book is warm and welcoming and contains much to aid the aspiring break baker. I e I'd heard of this book for years, and it was only when I became desperate to find a way into the Panettone recipe I'd tried this past Christmas that I thought to consult the master. In The Complete Tassajara Cookbook I found an old handed-down recipe called Grandmother Mary's Coffeecake that is so similar to other books' rcipes for Panettone that I brought it to my house immediately to see what else was inside. "German filmmaker Doris Dörrie documents a summer in the life of renowned Zen practitioner and cook Edward Espe Brown as he teaches culinary classes in Zen centers in Austria and California, revealing the role food plays in our bodies and spirits. Informative, provocative and funny, Brown serves up a unique combination of inspiring wisdom and kitchen skills that will raise even the most demanding foodie to new spiritual and gastronomic heights"
I thought I had the bread bible, "The Laurel's Kitchen Bread Book" however, Ed Brown's book also received the "Bread Bible" title from me. Ed introduced me to the world of unyeasted breads and I really enjoyed the journey! Thick, dense breads with so much flavour - even more flavour than the breads I usually made, based on recipes from Laurel's book - I never thought that would be possible! So now I have two books that I can bounce between when the mood takes me. Tibetan I thought I had the bread bible, "The Laurel's Kitchen Bread Book" however, Ed Brown's book also received the "Bread Bible" title from me. Ed introduced me to the world of unyeasted breads and I really enjoyed the journey! Thick, dense breads with so much flavour - even more flavour than the breads I usually made, based on recipes from Laurel's book - I never thought that would be possible! Tibetan Barley Bread: I tried it with sesame seeds, millet and sunflower seeds. The millet made the bread slightly more moist, a plus, but all the breads tasted wonderful! Simply wonderful. So much flavour and texture - nam! Whole Wheat Pancakes: Simply delicious! This book was lying around our house when I was a kid. I've always loved bread, and attempted to learn how to bake some myself from this book. But when I was 12, this book was too convoluted to keep my attention. I eventually tried again, and learned to make a fast loaf of bread from another old cookbook of my mom's, a 1950's version of The Joy of Cooking. As my tastes broadened, I found my way back to this book. I made a few of the recipes, and loved the way they taste. Worth the effort of sift This book was lying around our house when I was a kid. I've always loved bread, and attempted to learn how to bake some myself from this book. But when I was 12, this book was too convoluted to keep my attention. I eventually tried again, and learned to make a fast loaf of bread from another old cookbook of my mom's, a 1950's version of The Joy of Cooking. After trying this book I have very high hopes for it. It produced two enormous and very edible loaves of bread. A very important tip though - read the instructions! They start on page 15 and help immeasurably! The recipe for the standard Tassajara yeasted bread starts on page 34 and the instructions start on page 14. They really help flesh out the instructions for the bread and add to the quality of the loaves you'll end up with - they show you how to knead and shape the bread, how long and when After trying this book I have very high hopes for it. It produced two enormous and very edible loaves of bread. A very important tip though - read the instructions! They start on page 15 and help immeasurably! The recipe for the standard Tassajara yeasted bread starts on page 34 and the instructions start on page 14. They really help flesh out the instructions for the bread and add to the quality of the loaves you'll end up with - they show you how to knead and shape the bread, how long and when to let it rise (this bread has 4 rises in total!). I've never made bread that has risen so well and easily. I knew I wanted to try this book after seeing How to Cook Your Life, a documentary on the zen monastery where the author teaches, about a year ago. When I picked up a copy of the book and I read Brown's intro and the reviews of his recipes by famous chefs, I realized what a beloved work this was. Then I went to cross-reference my own pizza dough recipe (which I have been using for years) with Brown's recipe for foccasia bread- exact same recipe! Coincidence? The techniques Brown describes helped I knew I wanted to try this book after seeing How to Cook Your Life, a documentary on the zen monastery where the author teaches, about a year ago. When I picked up a copy of the book and I read Brown's intro and the reviews of his recipes by famous chefs, I realized what a beloved work this was. Then I went to cross-reference my own pizza dough recipe (which I have been using for years) with Brown's recipe for foccasia bread- exact same recipe! Coincidence? My mom just sent me this book and I am in love. It is the 25 year Anniversary Edition, known as "The bilbe for bread baking." Any bread book that contains poetry has got to be good. I guess not really - but this one is. Bread baking is love and I am finding this book that insinuates the same. I don't know if this "goodreads" is supposed to be just fiction or if "cookbooks" are allowed, but you might want to read this book like a fiction book. You'd need quite a bit of imagination, but it is possib My mom just sent me this book and I am in love. It is the 25 year Anniversary Edition, known as "The bilbe for bread baking." I don't know if this "goodreads" is supposed to be just fiction or if "cookbooks" are allowed, but you might want to read this book like a fiction book. You'd need quite a bit of imagination, but it is possible I am sure. I probably would have starved during my residency at Tassajar without the bread: rich, flavorful, warm, and almost always available from the side door of the kitchen to hungry students. The bread book allows for bringing a little of that flavor home, but be warned, this is not your bread machine era recipe book--the recipes take work and time, but the result tastes more real than most food on the market today. This book is an essential part of my kitchen. I have not developed my baking repertoire as heavily as I have my savory mind, so I have referred to this gem many a times since receiving a copy some time ago. Being not that far from the physical location of the Tassajara temple, I feel the connection to be energetically greater than merely culinary preference. Every chef needs a bread book, this is the one I keep in my bag. Definitely my go-to bread baking book. Complete enough to be consistently useful without overwhelming. I appreciate the feel and tone of this book in that for me, it focuses on the simple, humble pleasure of making bread. Nothing gimicky as in some other cookbooks. My only critique would be that the layout of sketches and instructions does leave something to be desired, requiring much page flipping if one is seeking to follow-step by step. My bread bible from the 70s - still use it. I make a half recipe of the basic yeasted bread (recipe #1) and mix whole wheat and white flour. It's wonderful. Sometimes I use the author's suggestion to add other things as well - oatmeal is a particular favorite. As much as I love the bread recipe, dessert recipe #79 - Torte with Sour Cream Fruit Topping - is an all time favorite. Dense cake, surprising sour cream topping, and lovely fruit. A virtuous dessert. There's nothing I love more than the smell of baking bread, and yet baking has always been one of the most intimidating things to approach in the kitchen. 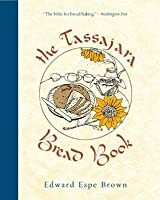 I learned about the Tassajara Bread Book after watching a documentary on Edward Espe Brown. This book took the anxiety out of bread-baking for me. After reading it, I baked my first loaf of hand-made bread - a loaf of braided Finnish bread from scratch from start to finish and enjoyed the process! I like this book because the copy I have is my mother's, and is worn, and so I know all the various bits of wear, the torn part from the back cover, are from my mother's hands. Four stars for the recipes, instructions and tips. One star missing because the layout doesn't make the reader WANT to delve into the books and crannies of this book. I love that, unlike other bread books, the author suggests beginners dive right into working with whole grains, and different ingredients. I am an avid bread baker, and I feel like a creative one at that. That is thanks to this book. I love used bookstores because I can pick up gems like this one, with an inscription in the front cover (very sweet, from roommate to roommate), old bookmarks marking favourite recipes, and a well-worn feel to all the pages. It's the first bread I've every made all by myself, the dough is on its last rising now. I love that it always recommends whole wheat flour over white flour. Beautiful, simple, thoughtful, approachable, flexible. Time-tested recipes with as many variations as you have ingredients (or are lacking). One of the first books that told me baking bread can be both easy and good, and come through on its promise. Brown is welcoming and passionate and reminds us of the inherent joy in breaking bread with others. This bread book seemed really approachable to me compared to others I've read. I didn't love that everything has milk and/or eggs, but they do make for really nice bread! I felt a little surprised that there were so many sugar laden ones but I guess those just aren't the ones for me! I might try the banana bread one this weekend though! Edward Espe Brown is a Zen Buddhist priest and professional chef.